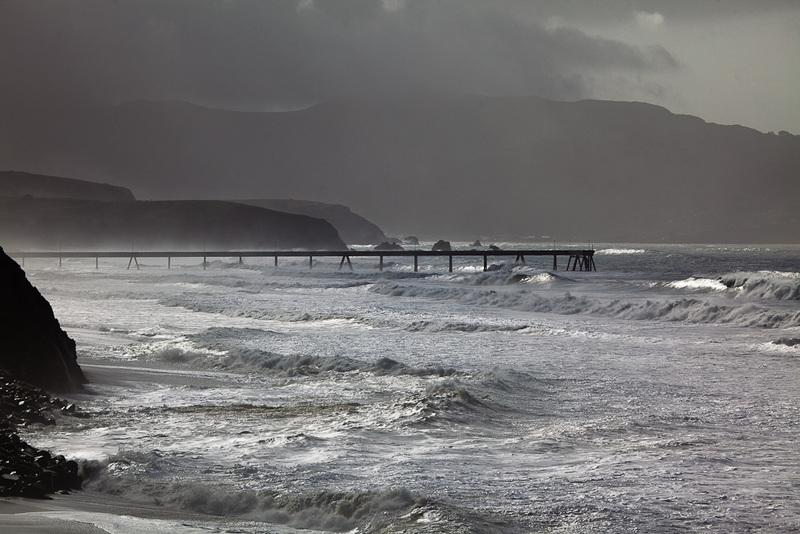 Despite rain, hail, winds and surf the buildings along Esplanade Avenue in Pacifica continued to stand fast. Attention shifted to the dramatic and photogenic grassy area north of the buildings, but residents are unconcerned with that. Tattered tarp. 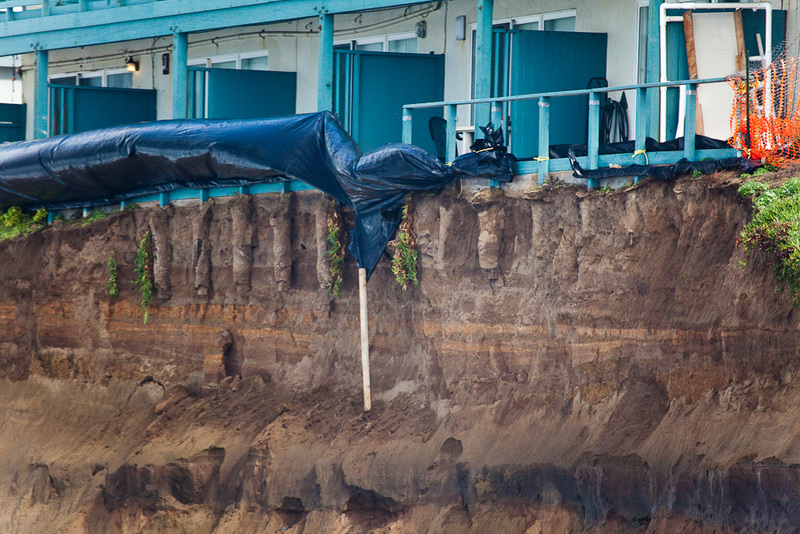 Although engineers had reassured residents and the press that neither ground water nor rain were significant causes of erosion for the raw and newly exposed bluff behind 330 Esplanade, crews final preparations for this weeks storms was to drape the bluff with 80′ tarps. 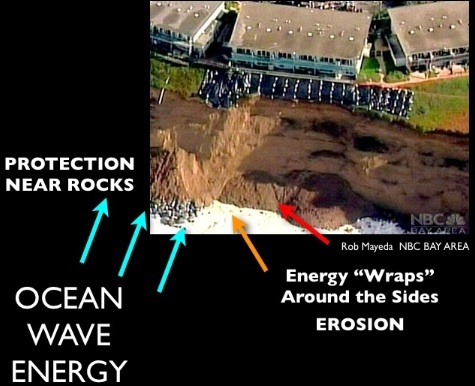 Those tarps are now in tatters and the bluff entirely exposed. 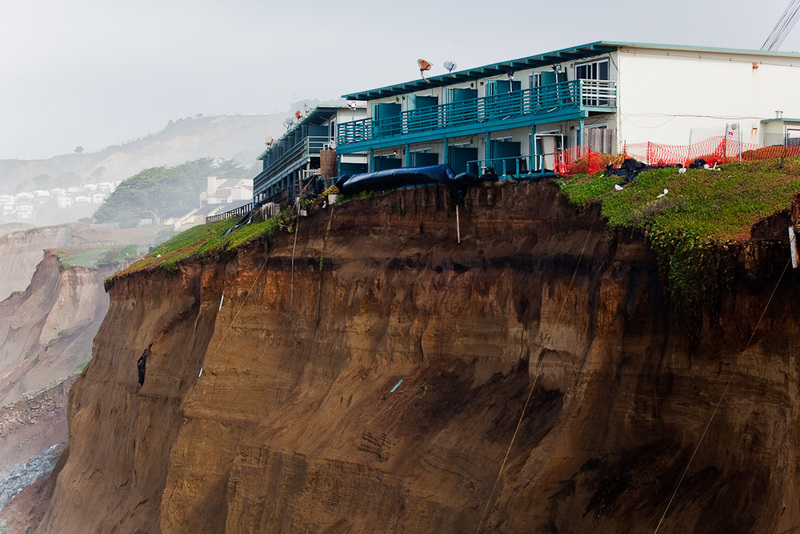 Media reported that owners decided today they are going to apply for an emergency permit to put boulders at the base of this cliff across from the Lands End apartment in an attempt to halt the erosion of the grassy area I call the dog park. Apparently they hope to get started by the end of the week. 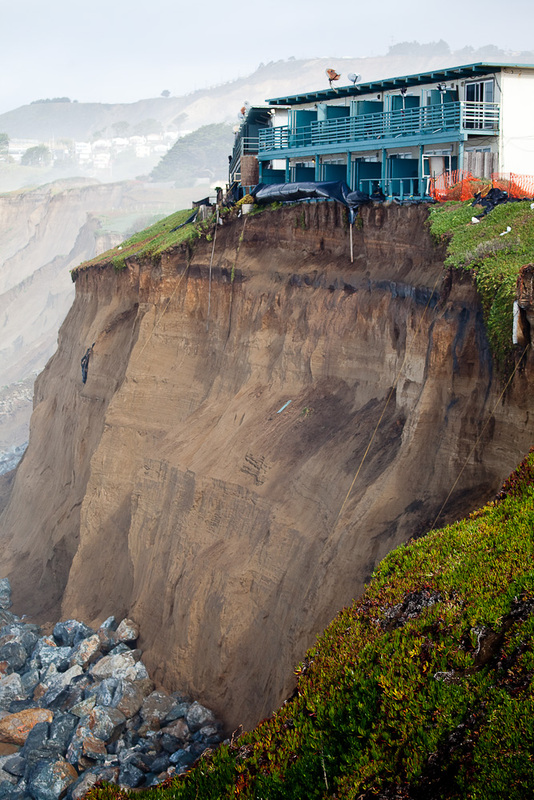 They are concerned the entire walkway will fall into the ocean. 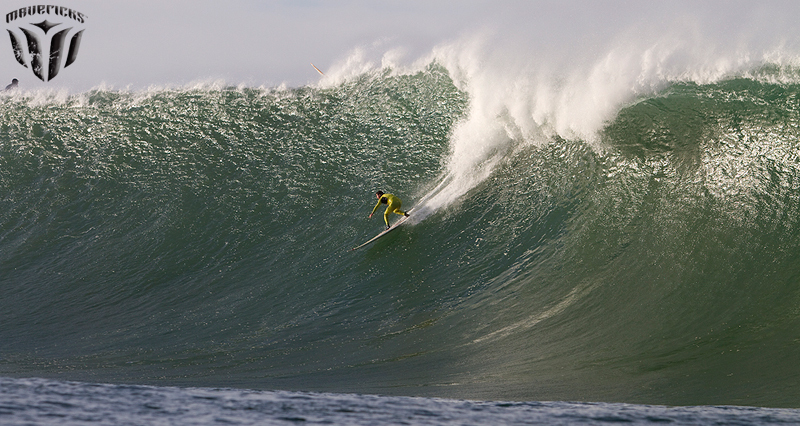 Photo by Sabrina Brennan. Click here for more images. 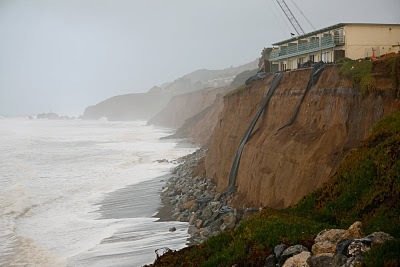 KTVU-TV 2 (Fox): PACIFICA: Driving Rain Batters Cliffs As Another 10 Feet Crumble Into The Sea [John Fowler] – Video. 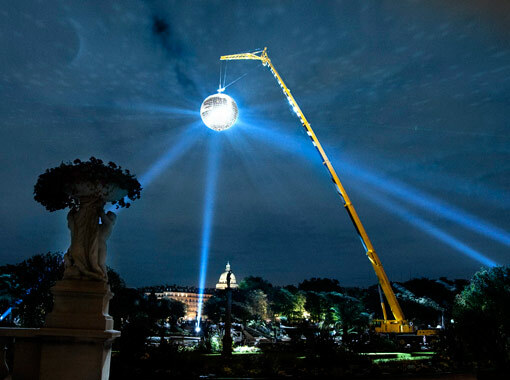 Brief, dramatic shot at about 53 seconds of the black tarps draped behind 330 Esplanade whipped up into the air above the building. 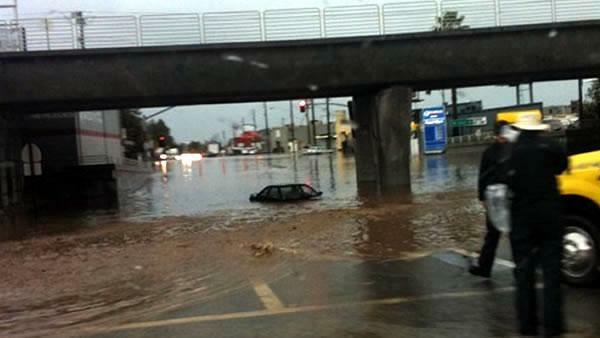 Meanwhile just 100 yards south of my office was this, from KGO-TV 7 (ABC) Creek overflow floods Peninsula businesses. Lucky for me the overflowing creek came no further north than this underpass. 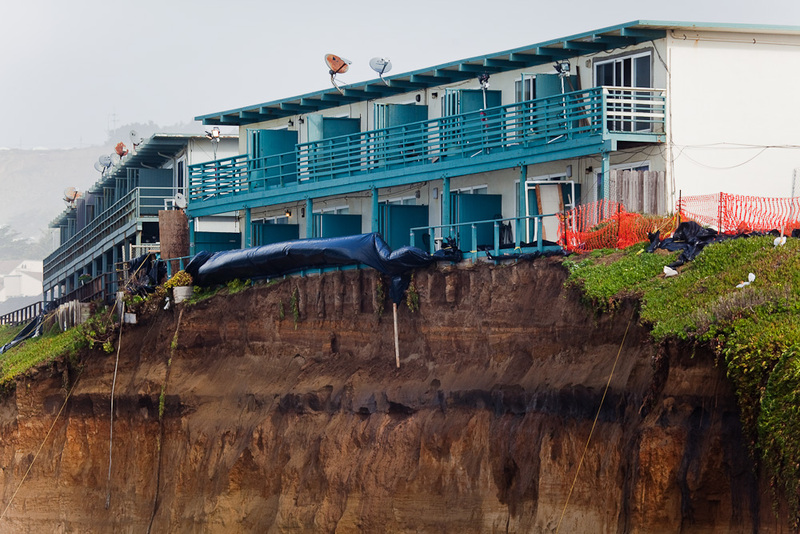 This post is part of my coverage of the cliff erosion and collapse at 330 Esplanade Ave, Pacifica. For a complete chronology and links to many more photos see Evacuation underway at 330 Esplanade. You can see all of the pictures I’ve taken along Esplanade on Flickr at Evacuations at 330 Esplanade. 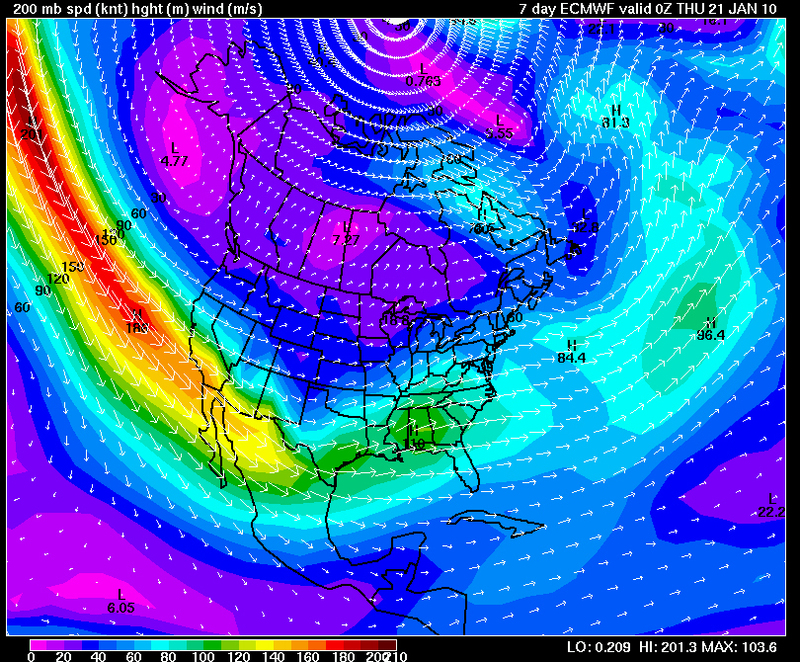 Good news so far, and some sense of relief and confidence as we look to the next several days. 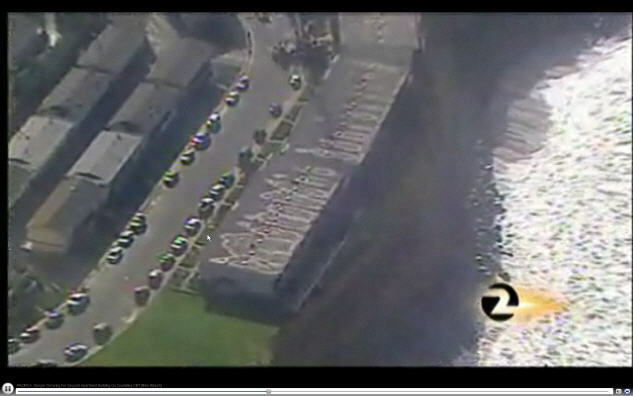 KPIX-TV 5 (CBS) Pacifica Cliff Holding Up Despite Storms. 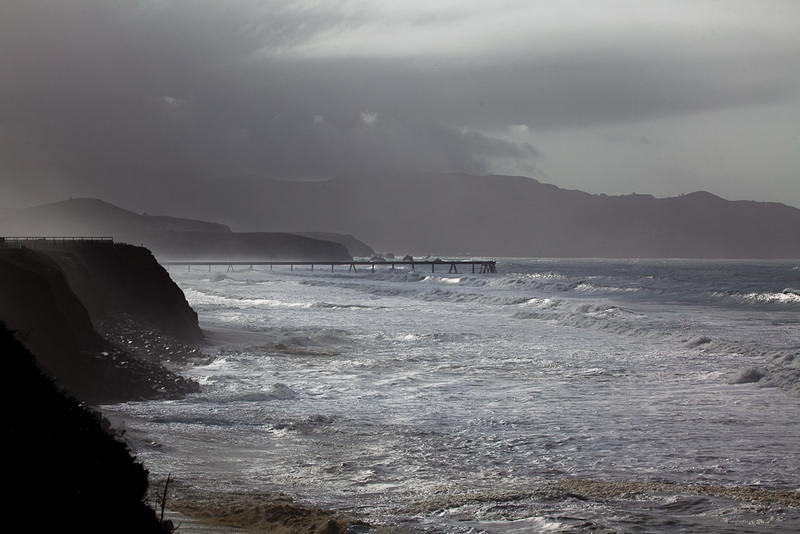 KGO-TV 7 (ABC), Series of storms bring erosion concerns to bluffs. Despite the title and lead-in of this piece, the “news” is just that the dog park had further erosion. 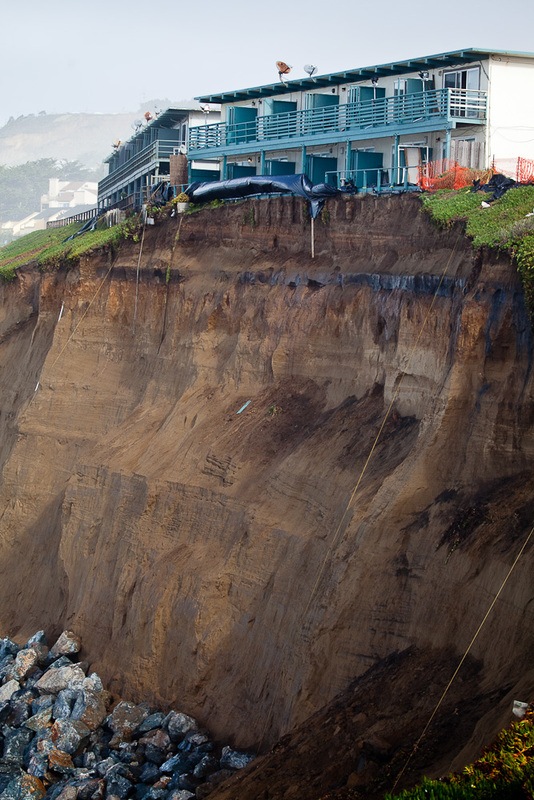 Later in the video they mention using soil nails to stabilize the top of the bluff beneath 330 Esplanade. We’d sure like someone in the media to give us a good accounting of the decisions made regarding next steps along Esplanade Ave!